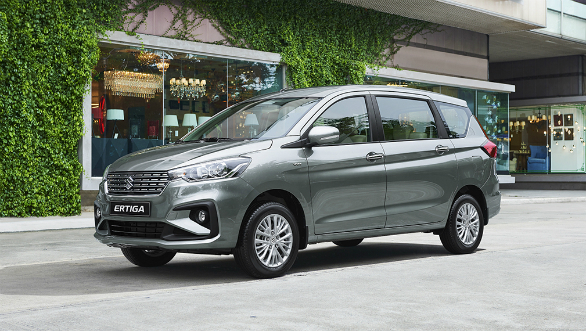 Suzuki has launched a new trim option for the Ertiga MPV in the Philippines. 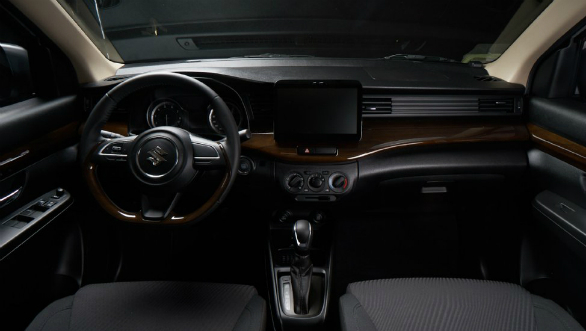 Named the Suzuki Ertiga Black Edition, it gets, as the name suggests, an all-black interior theme. There are no changes to the exterior. New to this car are the all-black dash, seats and other interior bits. The car also gets a darker shade of faux wood in the cabin. The only noticeable difference in the Filipino car is the 10 inch touchscreen infotainment, different from the Smartplay unit we get. Mechanically, the Ertiga available in the Philippines is identical to the one sold here. Only the 1.5-litre K15B petrol option is available with its 105PS and 138 Nm. There are three variants available in that market GA, GL and GLX. The Black Edition is available on the GA and GLX For a base variant, the GA come pretty well equipped. It gets power windows, keyless entry, engine start-stop button, single-DIN audio system with USB connectivity, dual-front airbags, ABS with EBD and ISOFIX child seat anchorages. The GLX adds 15-inch alloy wheels, electrically foldable outer mirrors, faux-wood interior elements, rear AC vents, 10-inch touchscreen infotainment system with offline navigation and Bluetooth connectivity, and reverse camera. Prices start at PHP 7,38,000 or Rs 9.72 lakh for the GA trim. 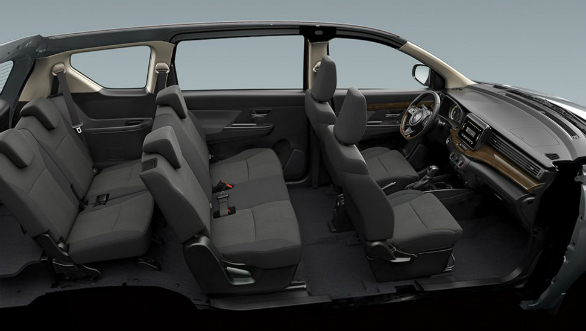 If Maruti Suzuki decides to bring in a sporty Limited-run variant for the Ertiga in India, this interior trim seems like a great fit.